This volume contains the usual wide range of topics, and offers some unusual and provocative perspectives, including an examination of what the evidence of zooarchaeology can reveal about the Conquest. 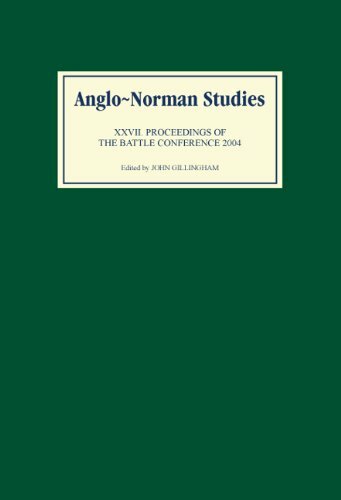 The other subjects discussed are the battle of Alençon; the impact of rebellion on Little Domesday; Lawrence of Durham; Thomas Becket; Peter of Blois; Anglo-French peace conferences; episcopal elections and the loss of Normandy; Norman identity in southern Italian chronicles; and the Normans on crusade. Contributors: RICHARD BARTON, NAOMI SYKES, LUCY MARTEN, MIA MÜNSTER-SWENDSEN, JOHN D. COTTS, J.E.M. BENHAM, JÖRG PELTZER, JULIE BARRAU, EMILY ALBU, EWAN JOHNSON, G. A. LOUD, HANNA VOLLRATH.